Let’s talk about this drug testing case, shall we? Back in 2010, Arizona voters enacted the Arizona Medical Marijuana Act. We’ll call it the AMMA for short. Unless a failure to do so would cause an employer to lose a monetary or licensing related benefit under federal law or regulations, an employer may not discriminate against a person in hiring, termination or imposing any term or condition of employment or otherwise penalize a person based upon . . . [a] registered qualifying patient’s positive drug test for marijuana components or metabolites, unless the patient used, possessed or was impaired by marijuana on the premises of the place of employment or during the hours of employment. File the stuff that I underlined away for a bit. We’ll get back to it shortly. I’ve got to set up the lawsuit. The defendant-employer hired the plaintiff-employee in 2008, two years before the AMMA passed. In 2013, the defendant promoted the plaintiff, and that’s when things got interesting. By the end of the year, or maybe early in 2014, the plaintiff obtained a medical marijuana card. She would smoke marijuana at night before bed to ease her arthritis and the pain in her shoulder from a recent surgery. 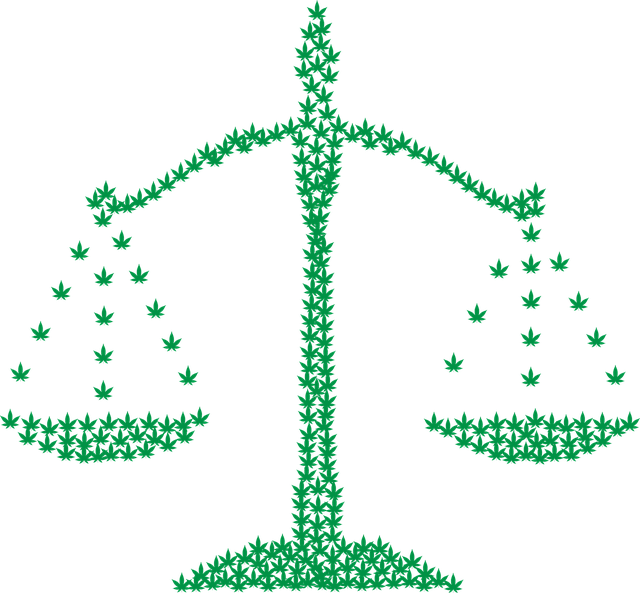 By May 2014, the plaintiff had never asked for accommodation concerning the use of medical marijuana. Heck, she never told the defendant that she had a disability. That’s because she was able to perform the essentials functions of the job without one. Yadda, yadda, yadda. The Plaintiff tests positive for marijuana after a workplace accident, at which time she discloses that she has a medical marijuana card. Defendant suspends and then fires here. And now we have a lawsuit. First question: Does the AMMA permit a private right of action for discrimination against an employer that violates the anti-discrimination provision, even though there is nothing explicit in the AMMA about it? [A] private cause of action is not inconsistent with the underlying purposes of the AMMA, but rather “effectuates the evident legislative purpose” of preventing discrimination in employment against qualifying patients using medical marijuana outside of the workplace since the law lacks any explicit enforcement mechanism. Employment lawyers and HR folks in companies with multi-state operations should check out pages 13 through 21 of Judge Teiborg’s opinion for an in-depth survey of related jurisprudence from around the country. Alright, Eric, you’ve buried the lede long enough. So, tell us. How do you know if an employee who: (a) uses medical marijuana, and (b) tests positive, is (c) high at work? If one of you knows of a drug test can distinguish between medical/recreational marijuana use outside of work and being high on the job, please email me. The Court concluded that the company’s subjective belief alone is not enough. Instead, the company needed an expert witness to bolster their “good faith” belief that the Plaintiff was impaired because a drug screen is a scientific matter. But, what really ticked off the Court was the defendant’s drug policy. That’s the one that involved zero tolerance for a positive drug test, regardless of whether the employee possesses a medical marijuana card and irrespective of the level of marijuana detected. Indeed, the Court was so steamed at the defendant’s seemingly flippant disregard of the AMMA that it sua sponte (that’s fancy legal speak for ‘on its own’) entered summary judgment on liability in favor of the plaintiff on her AMMA discrimination claim. Don’t get smoked like this employer. First, know the marijuana laws of the state(s) in which you operate and make sure that neither your handbook nor your managers exceed them. Some states explicitly require employers to accommodate employee use of medical marijuana outside of the workplace. Second, train your managers to know the signs of marijuana use/abuse and report suspected use to HR. Third, employees that use medical marijuana generally have a disability under the Americans with Disabilities Act. Forget about the marijuana for a sec, and remember that you may have a duty to accommodate. Finally, if you want to learn more about marijuana and the workplace, consider registering for the U.S. Equal Employment Opportunity Commission’s 2019 EXCEL Training Conference July 30 – August 1 in Atlanta, GA at the Atlanta Marriot Marquis, 265 Peachtree Center Ave NE, Atlanta, GA 30303. In its 22nd year, EXCEL is the premier national training conference for federal and private sector EEO managers, supervisors, practitioners, HR professionals, attorneys and Alternative Dispute Resolution (ADR) specialists. Rumor has it that a certain spice-ranking weirdo, employment lawyer blogger will be presenting on marijuana and the workplace.